Prominent & Leading Manufacturer from Karur, we offer quilted double oven glove, halloween printed guest towel, super absorbment dish towel, vintage stripe dish towel, flour sack dish towel and water absorbent dish towel. We are leading manufacture and exporters of all kind of QUILTED DOUBLE OVEN GLOVE. We offer wide range of QUILTED DOUBLE OVEN GLOVE. We normally provide seasonal QUILTED DOUBLE OVEN GLOVE like Christmas, Halloween , valentine day, Easter etc. 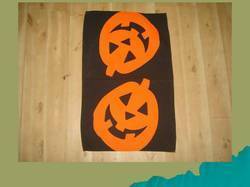 We are leading manufacturer and exporters of all kinds of cotton HALLOWEEN PRINTED GUEST TOWEL . 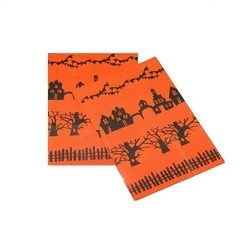 We offer wide range of HALLOWEEN PRINTED GUEST TOWEL. We are leading manufacturer and exporters of all kinds of cotton SUPER ABSORBMENT DISH TOWEL . We offer wide range of SUPER ABSORBMENT DISH TOWEL. 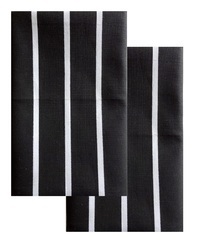 We are leading manufacturer and exporters of all kinds of cotton VINTAGE STRIPE DISH TOWEL . 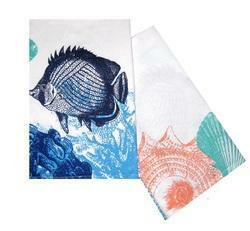 We offer wide range of VINTAGE STRIPE DISH TOWEL. We normally provide seasonal VINTAGE STRIPE DISH TOWEL like Christmas, Halloween , valentine, Easter etc. We are leading manufacturer and exporters of all kinds of cotton FLOUR SACK DISH TOWEL . We offer wide range of FLOUR SACK DISH TOWEL. We are leading manufacturer and exporters of all kinds of cotton WATER ABSORBMENT DISH TOWEL . We offer wide range of WATER ABSORBMENT DISH TOWEL. We are leading manufacturer and exporters of all kinds of cotton CHRISTMAS DISH TOWEL . We offer wide range of CHRISTMAS DISH TOWEL. We are offering wide range of Printed Towel.